Traditional wooden dies have proven to be an excellent solution for die cutting. 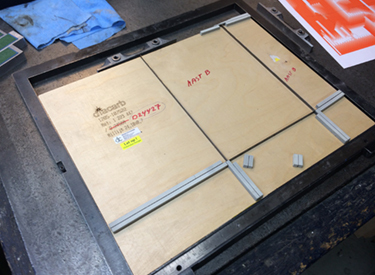 The mounting in the frame at the correct position and the positioning of the counter creasing lines is however quite time consuming. It is often required to under fill the die for correct cutting on the total surface depending on the machine and the mechanical condition. It requires operator skills for good results. The average make ready time is 45 minutes. 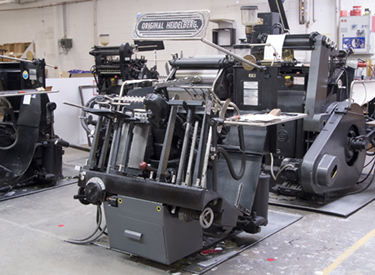 The die cutting is often combined with a guillotine cut as a second operation in order to avoid nicks with the waste. This means in general that minimum another 30 minutes needs adding to the total process of getting a finished product. The standard cutting angle of a steel rule is 55°. The new technology dies have many similarities with the traditional ones, only the wooden base has been replaced by a thin metal layer allowing the mounting on a magnetic cylinder. The accuracy of the height of the cutting lines is within a few micron thus allowing a fixed gap between the magnetic cylinder and the anvil cylinder. Counter creasing lines can be mounted in the traditional way by using self-adhesive lines, which is as time consuming as the old system. Alternatively it is possible to use double magnetic cylinders with 2 flexible dies. Both dies are registered with pins and holes and are mounted simultaneously. The elimination of adjustments allow make ready times of a few minutes. 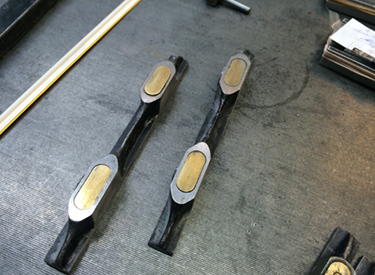 The dies are too complex to manufacture in-house and needs to be purchased at a die manufacturer. The process starts with a metal sheet with a photosensitive layer on top. The sheets is exposed with the image and developed afterwards. 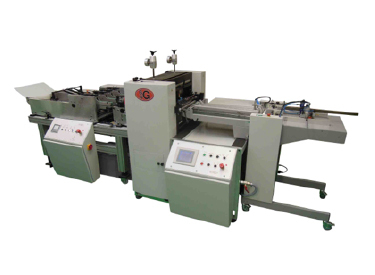 The exposed sheets is than passing en etching machine were the exposed material is removed until a basic thickness is achieved between 0,15 and 0,2 mm. 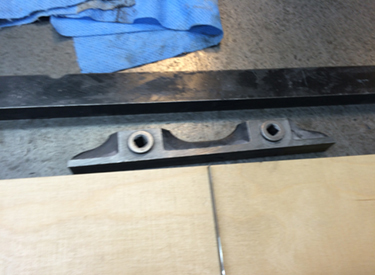 The sheet with blunt lines is now going to a grinding machine for sharpening the lines. 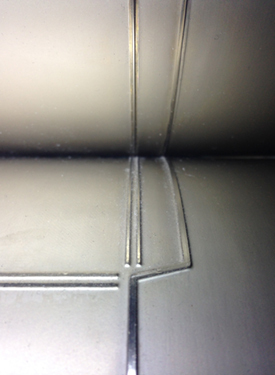 Depending on the application different cutting angles and types of finishing is possible. The cutting angle can vary between 40° and 110°. The standard quality is etched and sharpened only. 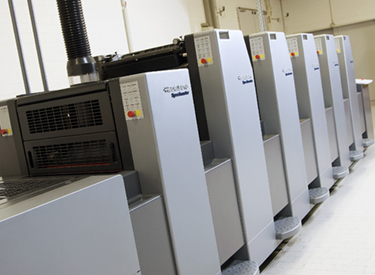 These dies will last up to 300.000 revolutions, a perfect quality for regular use. The hardened die is suitable for standard products that are made in high volume, or repeated products, they last 2 to 3 times longer than the standard quality. 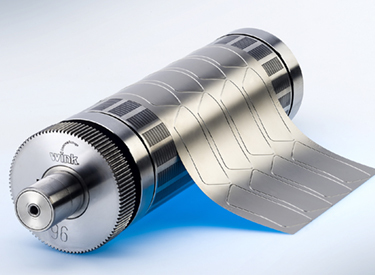 Flexible dies are known to be very expensive. This is however not true, comparing 2 totally different cutting shapes is in general causing the difference. 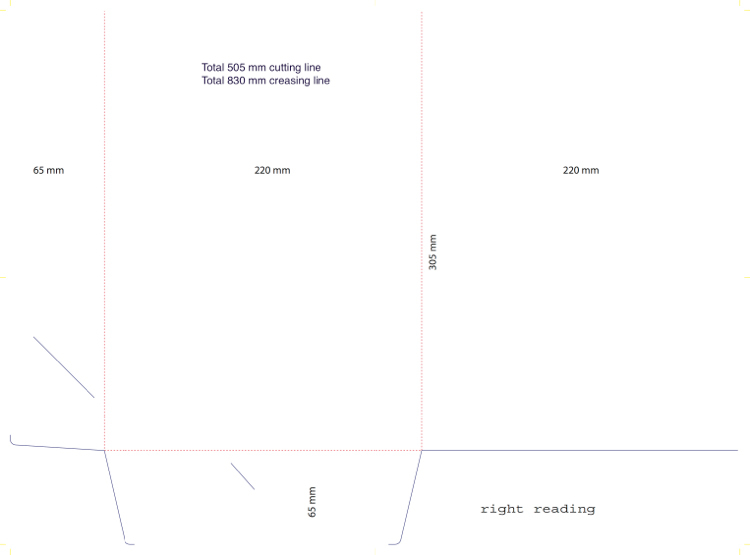 With the traditional cutting method a second pass in the guillotine is used, eliminating a number of cutting lines, see example1. In the rotary die it is common to cut all the lines eliminating the guillotine cut, see example 2. 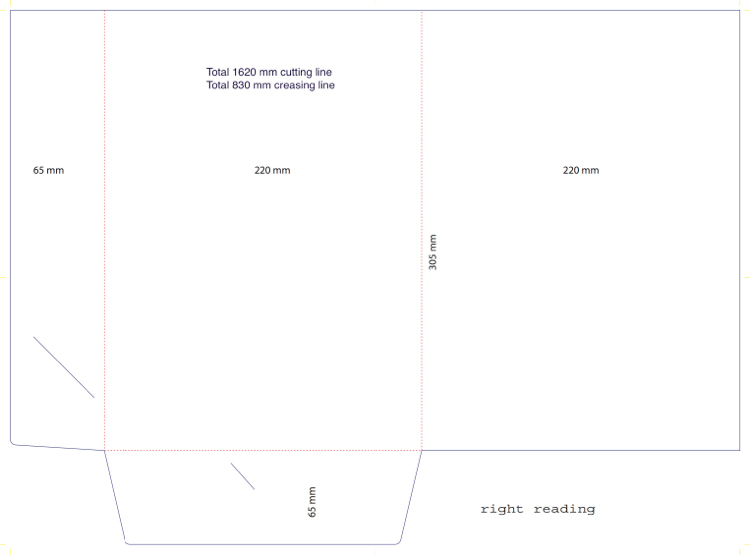 The difference is 1115 mm extra cutting line resulting in a higher price of the die! Calculating the rotary die with the same file as the flatbed die will result in similar pricing with a difference of maximum 10% which is justified by the faster make ready! 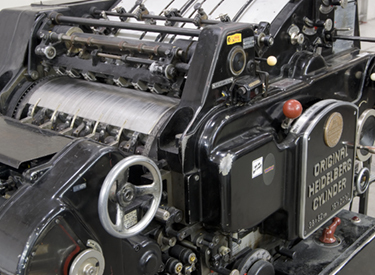 The counter creasing lines can be realised with self-adhesive lines that needs manual cutting and positioning. Using a counter die on a second magnetic cylinder can shorten this whole process. This increases the die cost with 70 to 80%, reduces however your make ready time from average 45 minutes to 5 minutes!